We can't wait for you to see the reason why we've been so busy. 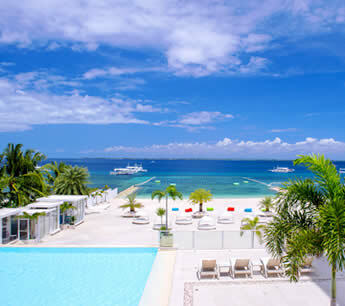 Finally, BE Resort, Mactan is done with its makeover and there's never been a better time to visit. Expect that everything has been improved in the best of taste — the guestrooms, gameroom, function rooms, and restaurant. Book your stay today and be the first to prove that it is worth the wait. Beachfront accommodations with a youthful vibe — Be Resort in Cebu, Philippines offers these and more at an affordable price. This boutique resort is a haven to travelers who wish to explore the seaside beauty and know the rich history of Lapu-Lapu City. Celebrate upcoming holidays and events in style without going beyond the budget. Be it a quiet and relaxing getaway by the beach, a romantic rendezvous, fun family reunions, or team building with the rest of the crew — you can be sure to see a reasonably priced accommodation arrangement that will match your expectations and holiday needs. See our deals and promos today, or get in touch with our resort for venue and banqueting assistance. A feast for the eyes awaits you. 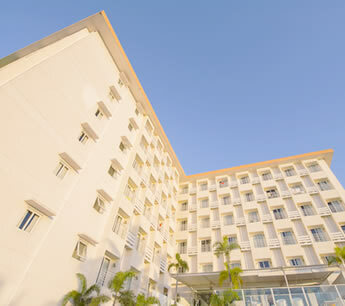 Come to Be Resort and be captivated by fantastic nature views and pleasing pastel colors. See the beach and imagine how it's like to hold a romantic wedding or a grand get-together in this vast expanse of white sand. Our rooms offer great comfort, refreshing hues, and nature views. In addition to the vivid scenes on dry land, you can also look forward to witnessing the glorious underwater scenes that surround the island. 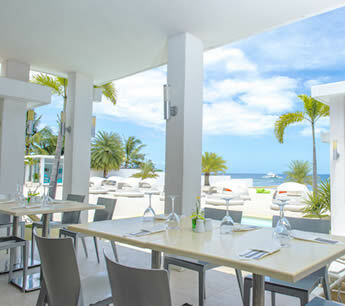 At our beach resort near Cebu City, it is never too hard to give in to life's little pleasures. Here, we address every practical consideration so you can freely set your mind on relaxation or — if you're in the city for business — celebrating corporate events. We have a spacious ballroom and a wide beachfront for banquets. Aside from these, Be Resort also has pools, a game room, dive shop, and a restaurant.